Hot Takes Thread: PG is the 3 n D GOAT! I decided to give some hot takes and make this thread for anyone to post their hot takes, if it fails miserably oh well. With no further ado here are some PG13 hot takes: He is the prototype 3 n D wing, in other words the Goat. No one plays defense and shoots 3s better while also sporting an all around game. Not Klay I can’t lock down anyoneThompson, Not Kawhi, no one. Next: PG13 is this years MVP. He just clowned James Harden easily. Hardens game revolves around shooting free throws and playing 0 defense. No one is more important to their team than Paul. He’s better than KD who doesn’t stretch the floor as well as Paul or defend the perimeter like Paul. He’s better than Kawhi who isn’t really good at shooting 3s at all. And Giannis can’t shoot and has yet to win a playoff series. This year Paul becomes the first Pacer or former Pacer that I know of to be first team all nba. 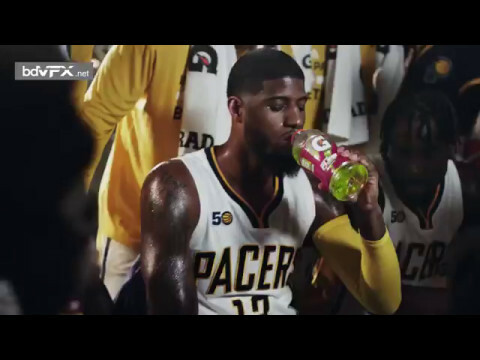 I’m not trying to troll, I am glad PG is not a Pacer it wasn’t gonna work. He needed another star that he respects to help him along the way West used to. Anyway post if you have any hot takes or if you would like to shoot down my take on PG being the 3 n D Goat feel free. PG is having a heck of a season. His fit with Russ is excellent. It allows PG to take the most shots in the team without being the #1 guy that handles the ball (that's still Russ). Russ is also a leader on and off the court which fits with PG's more laid-back personality. He is reaching new heights in OKC that I believe he would only be able to reach there. I'm happy for him. The break-up he had with our team was rough but both sides ended up being better for it. Bro u don’t know what 3 n D means? It’s a well known style of play. Defend and shoot 3s. No one is as skilled at both these categories as Paul George in the history of the game. I guess that’s not an accomplishment to u though. If u think he’s not name someone that’s better. If u know another player who hits 3.9 threes a game up to all star break, hasn’t missed more than 1 or 2 games if that, and ends up all defense first team....let me know. oh yeah, starting to ring a bell.... joe young's friend who was in that commercial once? Hot Take: The three draft picks Larry Bird traded away were used to draft Kawhi Leonard, Bogdan Bogdanovic, and Caris LeVert. Larry Bird was horrible at making trades. If Kawhi isn’t good at shooting 3s then why does he have a higher career percent? I think it's kind of insulting to label PG a 3 and D wing. Yeah, if thats what he was, he would be the best ever, but thats selling him way short. Bruce Bowen was a 3 and d wing. They called him that because thats exactly what he did. He was just out there to play d and space the floor. PG is an ALL NBA player. What’s the point of trying to pigeonhole Paul George? He won’t win MVP over Harden, but he will probably come closer than he ever has or ever will. Huge bounce back season for him. Hated that he wanted to leave the Pacers,but he's still one of my favorite players. Said several times that PG could be an elite guy who scores off the catch. Whether that be catch & shoot or a catch on the move where he could make 1 or two dribbles and get into a scoring opportunity. Too bad that during his last few seasons here he wanted to be James Harden lite and too bad the organization not only allowed it to happen but also didn't find the right player(s) and implement the right system to take advantage of his unique & considerable talents. While I find it hard to root for him I am happy to see he has landed in a situation where he can thrive and play to his potential. Paul George is an ungrateful punk *****. The entire community of Indianapolis rallied around him when he suffered a gruesome leg injury and he paid us back by demanding a trade because he was too weak to be the leader of a team. It is no surprise team chemistry drastically improved when he left. That’s fair, wasn’t trying to sell him short, I think he’s this years MVP. Just saying the 3 point shooting is very impressive along with the defense and I consider contested rebounds to be closing a defensive possession and another thing he does really well.